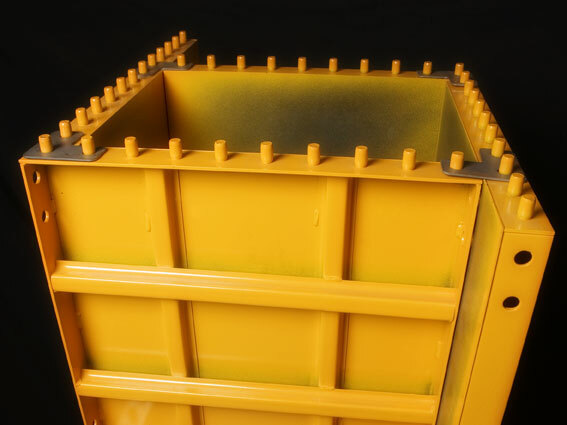 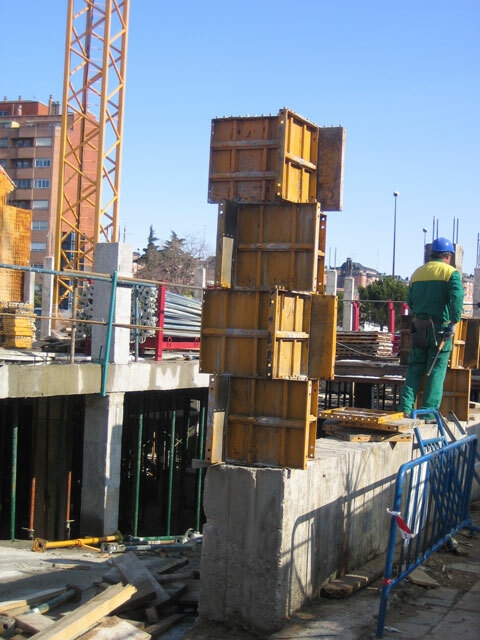 Metallic formwork construction DERCONS is used, of a modular way, for the accomplishment of concrete columns. 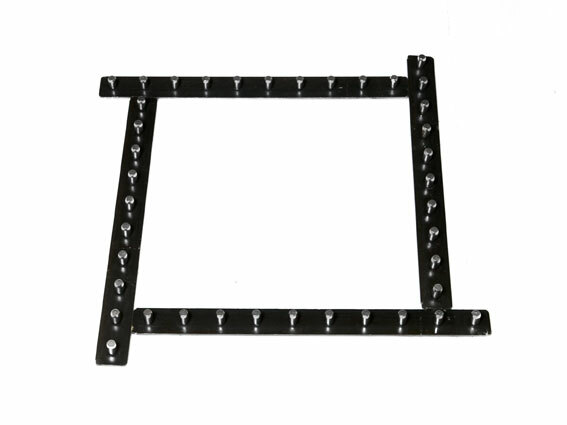 They are made in special steel of 2 mm of thickness, with 3, 4 or 5 reinforcements and are assembled by means of robotized welding. 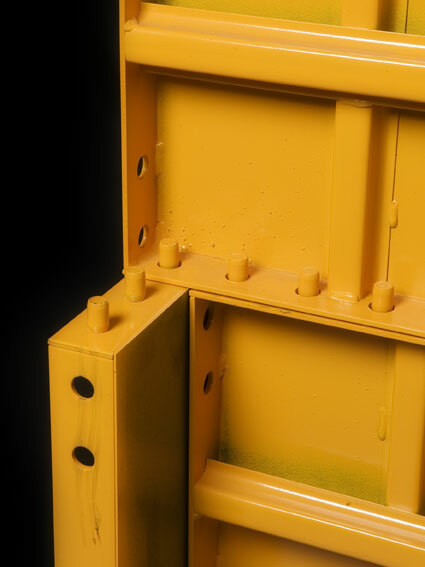 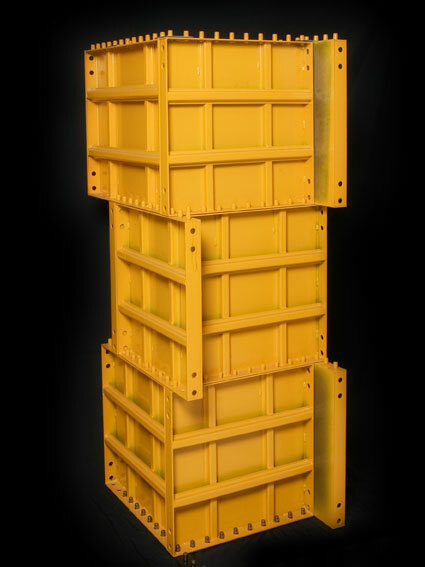 The lightness of the plates, the simple union between same and the reduced number of elements that compose the system, do that the assembly of the System of Metallic formwork construction DERCONS is fast and easy. 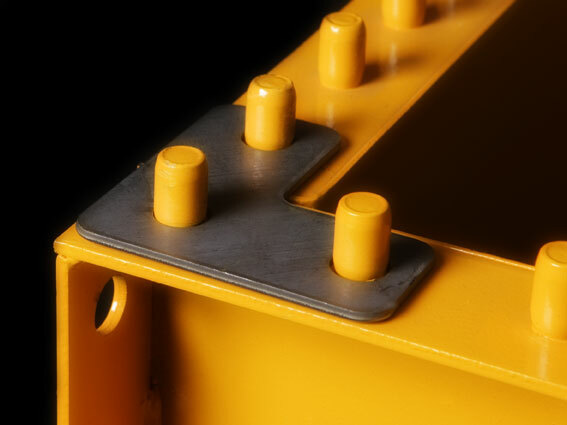 Its use is fast and simple, in the ground we placed the Startings above and the set of plates; once obtained the wished height, we united the corners of the last plates by means of square finish.